Augustastreetsandsidewalksmightgetupgradesfundedbynaturalgastaxes - Summit Utilities Inc.
A $4.1 million capital improvement plan going to city councilors Thursday for discussion proposes to ask voters to approve borrowing nearly $1.7 million for street improvements in Augusta. 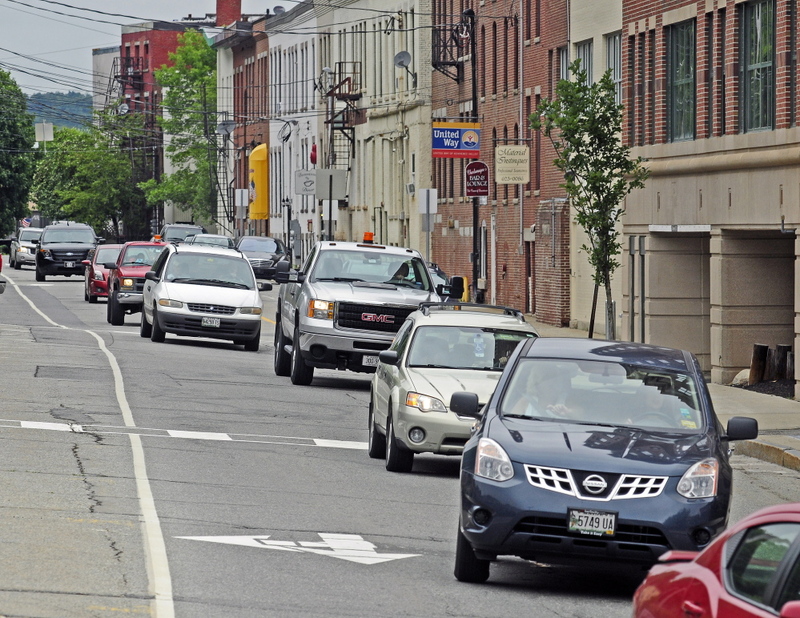 AUGUSTA — Taxes on natural gas pipelines could pay indirectly for the reconstruction of some city roads damaged by pipeline construction under the city’s proposed capital improvement plan. The taxes on the pipelines and other infrastructure in the coming years could be designated, through a tax increment financing program, to pay back bonds that city administrators recommend borrowing to rebuild and repave several city streets and sidewalks. The city established a natural gas TIF in 2011, as competing gas companies Maine Natural Gas and Summit Natural Gas of Maine began installing gas lines in Augusta. However, unlike tax financing programs set up to help lure companies to locate within a municipality, the revenue collected in the gas TIF go to the city, not back to either of the gas companies. TIFs allow municipalities to collect property taxes generated by new development and dedicate it to specific uses allowed under state law, including infrastructure, downtown revitalization or economic development projects. By sheltering such money in a TIF, municipalities avoid reduction in state aid to education and other negative tax effects. Bridgeo said road reconstruction projects that would be funded by the plan next year include the upper part of Patterson Street, Leighton Road from Darrin Drive to Bond Brook, Commercial Street downtown, and Cony Street Extension between Haskell Street and Cony Road in the area of the entrance to Cony High School and the Capital Area Technical Center. The proposed capital improvement plan also includes plans to put a mile-long river walk around city-owned Mill Park, at a cost of $225,000, and replace an 8-foot-high chain-link fence now between Mill Park and the Kennebec River with a lower, more attractive 4-foot-high fence, at a cost of $30,000. The $225,000 would come from a proposed bond that could be approved by city councilors, to be paid back with proceeds from another TIF the city created, for the downtown area. The $30,000 for the fencing would come from funds collected through charges to a contractor who used the park during a Greater Augusta Utility District project in 2013. Other proposed projects that could be funded by the plan include $145,000 for upgrades to more-efficient LED lighting at various buildings, $160,000 for improvements to the Buker Community Center, $50,000 to hire an architect to design plans to renovate and expand Hartford Fire Station, $95,000 to replace the palisade walls at Old Fort Western, and $65,000 to replace the police station roof. Councilors meet at 6:30 p.m. Thursday in council chambers at Augusta City Center. Councilors also are to scheduled to discuss a proposed new vacant buildings ordinance.